Home» Education and Conservation » New Protection in NSW for Southern Right Whales. New Protection in NSW for Southern Right Whales. T he New South Wales (NSW) State Government added protection of Southern Right Wales in the State’s waters. 15 breeding female Southern Right Whales are found in NSW State waters. 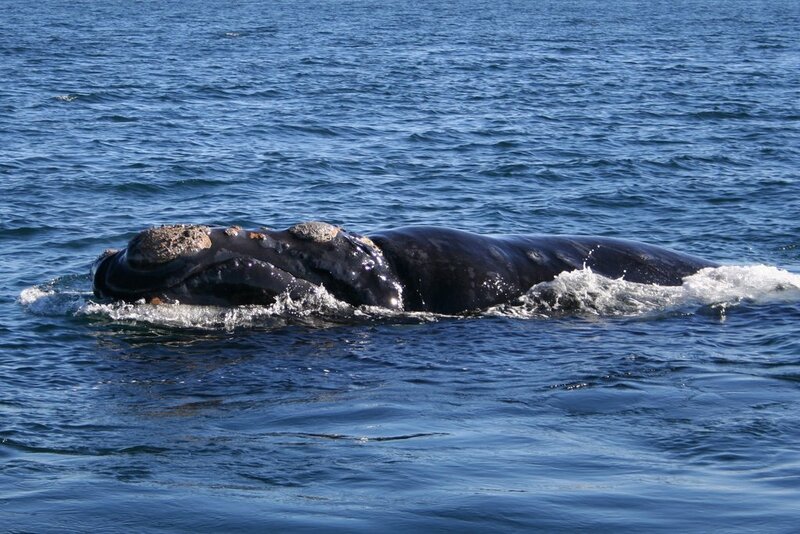 Known as a right whale because during the height of whaling efforts, this was the ‘right’ whale to catch it is easy to identify as it has a uniformly dark colour with white callosities (outgrowths of hard skin) on and around the head which can be used to distinguish individuals. Whalers found named it the ‘right’ wale because it is large, slow-moving and floats when dead. Unusually for baleen whales, the southern right whale does not have a dorsal fin or a grooved throat. A migratory species, the southern right whale is found in the open ocean of the most southern region of its range during the summer months where prey populations are more abundant, but migrates up to the coastal regions of more northerly regions of its range during the winter and spring. National: Listed as Endangered under the Environment Protection and Biodiversity Conservation Act 1999. New South Wales: Listed as Endandered under the Threatened Species Conservation Act 1995. South Australia: Listed as Vulnerable under the National Parks and Wildlife Act 1972. Tasmania: Listed as Endangered under theThreatened Species Protection Act 1995. Victoria: Listed as Threatened under the Flora and Fauna Guarantee Act 1988. Western Australia: Listed as fauna that is rare or likely to become extinct under the Wildlife Conservation Act 1950 and Wildlife Conservation (Specially Protected Fauna) Notice 2008. Sapphire Coast Marine Discovery Centre, Eden.